Dying is a scary feeling. If there is a life-threatening disease, fear increases significantly. Especially when the disease is blood cancer. Kamleshwar Singh Thakur, a student from Amlihdih, a small village in Kawardha district, had seen it in his childhood. A news on the TV was being telecast about the disease. That is when he came to know about the deadliness of the disease. A mere thought of it, sent shivers down his spine. That is when he made a decision to become a doctor after growing up. Today he is able to see his destination closely. While staying in the hostel he is studying harder and is fully confident about his success. Kamleshwar wants to study a lot. 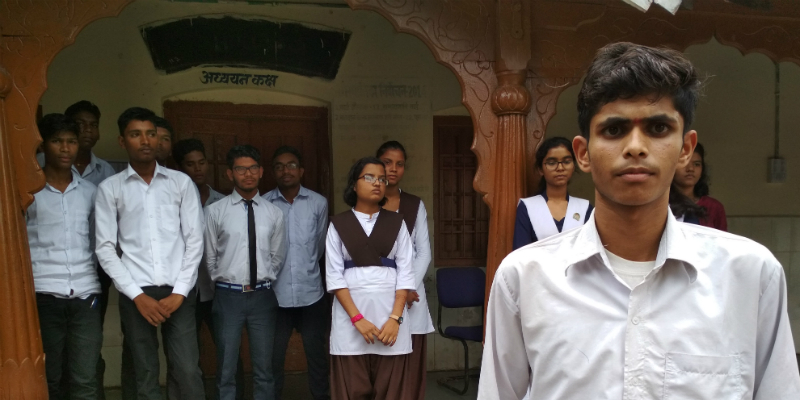 Not because he wishes to become an MBBS doctor and treat people, but because he wants to become an expert and in order to do research on blood cancer. He says that if his research succeeds, then he will make the country proud globally. He will also make his parents and his village proud. After watching TV that day, all these thoughts were just in his head, but after coming to Kawardha's residential coaching center, he is moving towards his dream. Studying for NEET has boosted his confidence. He is aware that his studies are going good. He is trying to do his best to get a good rank so that he can get admission in the best medical colleges in the country. Amlihdih is a small village. People living there are not aware of NEET or JEE. Even his parents are not so knowledgeable. “Families in my place do not even know about such competitive examinations. There is no one to guide in such an atmosphere. May the government be blessed for providing such beneficial facilities to its people. My family is extremely happy. Whenever I talk to my family over the phone, I inform them about my studies.” He says. Government Higher Secondary School of Kawardha is where the administration has arranged for this residential coaching. 100 students from different classes are studying here. Warden Lakhanlal Warte says that every student is being fully taken care of. Everything from their catering to life is being managed. Arrangements for nutritious food are made so that the students studying in the hostel should not face any problem. Officials of the District Administration also come from time to time for inspection. Every student, like Kamleshwar, studying in the hostel’s coaching is confident about his studies. Kamleshwar says that if this facility was not available then perhaps his dream would have never been accomplished. Their dreams wouldn’t have been realised. Without the hostel coaching, either they would have been doing some petty job after studying BSc or would have been living in their village, cultivating their farm. Because of the coaching, they have got a chance. As soon as he learnt about the coaching he filled the form. Once he was selected after giving the examination, he was extremely happy. Now he is determined to make the most of this opportunity. He is devoting all his time to his studies. He is sure that he will be successful in the NEET examinations.